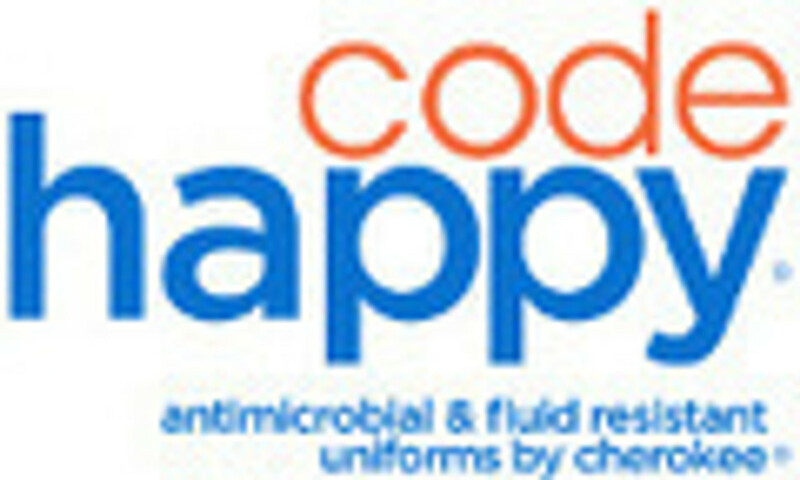 The Code Happy - Cloud Nine collection is a stylish ensemble of comfortable and durable scrubs that are designed to keep you on cloud nine no matter how long your work-day. This collection features the latest advancement in fabric technology - CERTAINTY* This fresh collection is available for both women and men, and in a variety of colors. This stylish and contemporary warm-up has several multi-function pockets to hold everything you&apos;ll need throughout your busy day. Rib-knit cuffs add a little flare and the interior snap-closure pocket reveals a motivational message: "Smile, Love, Connect". The fabric is 77% Rayon/20% Polyester/3% Spandex. A soft contoured fit is the highlight of this body-flattering V-Neck top. Plenty of multi-functional pockets carry the day as well as all of your gear. An inside pocket also reveals the motivation message: Smile. Love, Connect". The fabric is 77% Rayon/20% Polyester/3% Spandex. This top sports a modern contoured body-flattering cut. Several multi-functional pockets provide more than enough storage for your gear. Also featured, are instrument and badge loop, plus side slits for extra comfort. As with the rest of the Cloud Nine collection, a motivational message "Smile, Love, Connect", is found on an inside pocket. The fabric is 77% Rayon/20% Polyester/3% Spandex. Enjoy the sleek fit of these pants, featuring a drawstring/elastic waistband and side-vent for cool comfort. You&apos;ll have plenty of storage space with two front pockets, one rear pocket, a cell-phone pocket, as well as an instrument loop. The fabric is 77% Rayon/20% Polyester/3% Spandex. Blissfully glide through your work-day in comfort, without a care in the world. Like the rest of the Code Happy products, the Bliss collection employs the ultra-advanced CERTAINTY* fabric technology. Stay fresh with the collection, available for both women and men, in a variety of colors. This body-flattering knitted long-sleeved tee has a crew neck, stylish flatlock seam details, and thumb holes. Wear these scrubs, while staying blissfully warm. The fabric is 95% Rayon/5% Spandex. Designed for both sexes, these knitted arm warmers are comfortable and can offer you a practical solution to cover up body art. While these sleeves feature silicone upper grips to hold them on, they are also easily removed if need be. The fabric is 95% Rayon/5% Spandex. Do it all and hold it all when you wear these stylish low-rise cargoes. Front slash pockets, cargo pockets, and instrument loops will give you more storage than you can shake a stethoscope at. The fabric is 95% Rayon/5% Spandex. These drawstring/elastic wasted, flare-legged pants, feature slash front pockets, one back patch pocket, and side vents. The fabric is 95% Rayon/5% Spandex.